How much fuel does a BDL improved cookstove save? Usually, laboratory tests of improved stoves yield greater fuel savings than under real life conditions, as the proper use of the stove plays an important role. For stoves using wood as fuel, savings of 40% to 60% per stove per household are realistic. Improved charcoal stoves, such as our Jikokoa, can reduce fuel use by around 50%. Is there one perfect stove for the whole world? No, due to the nearly endless diversity of cooking around the world there is no ‘one size fits all’ solution. Different food and cooking methods, cultural habits and preferences as well as climatic conditions and available fuels determine what the best stove is for a given local setting. Even well-engineered stoves that have proven to be very efficient and clean burning in a laboratory may fail in real life conditions. 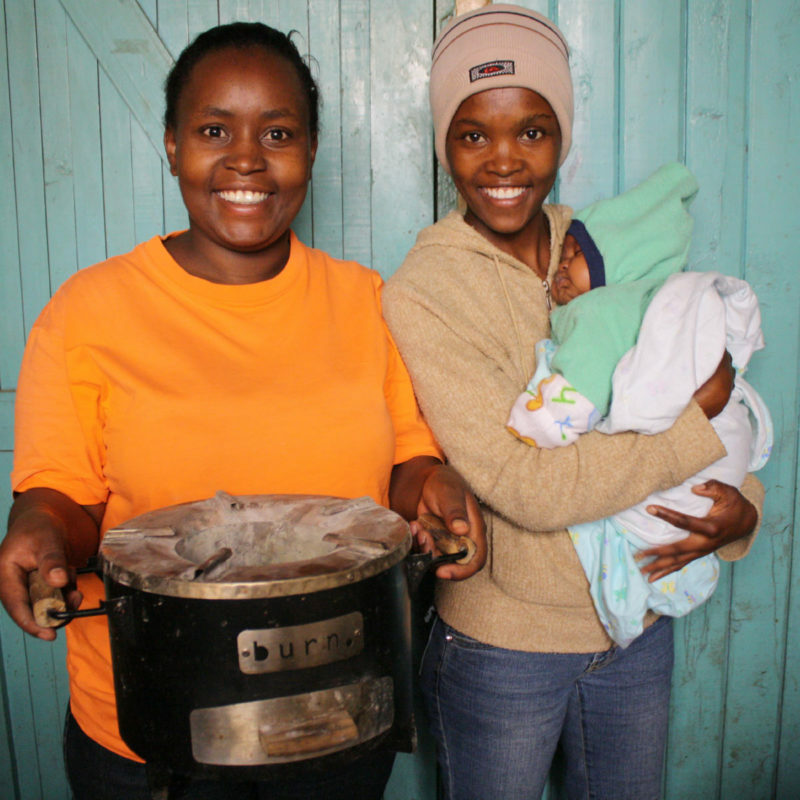 How do clean cookstoves empower women? In most of the developing world, women shoulder the burden of fuel collection for household use and cooking. Clean-burning cookstoves use less fuel, and thus require fewer fuel collection trips. Studies have shown that fuel collection can take up to 5 hours a day. In these extra hours, women can spend time with their families, attend classes, and take advantage of other income opportunities to improve their household's economy. Why do so many people still cook on open fires? Open fires, also called 3-stone fires, have been used for centuries all around the world. They can be set up easily, fit all pot sizes, and the heat from the fire can be quickly increased or reduced. In many cultures the 3-stone fire traditionally forms the center of the household and often holds cultural value. Furthermore, open fires make use of firewood, agricultural residues, or dung, which in rural areas are often the only available, accessible, and affordable fuels for families. How does Burn Design Lab get stoves to the people who need them? We partner with manufacturers in developing areas of the world to design a cookstove that works with that region. Our goal is to design an affordable stove that aligns with the culture and creates local jobs in indigenous communities. Who Participates in our Focus Groups? 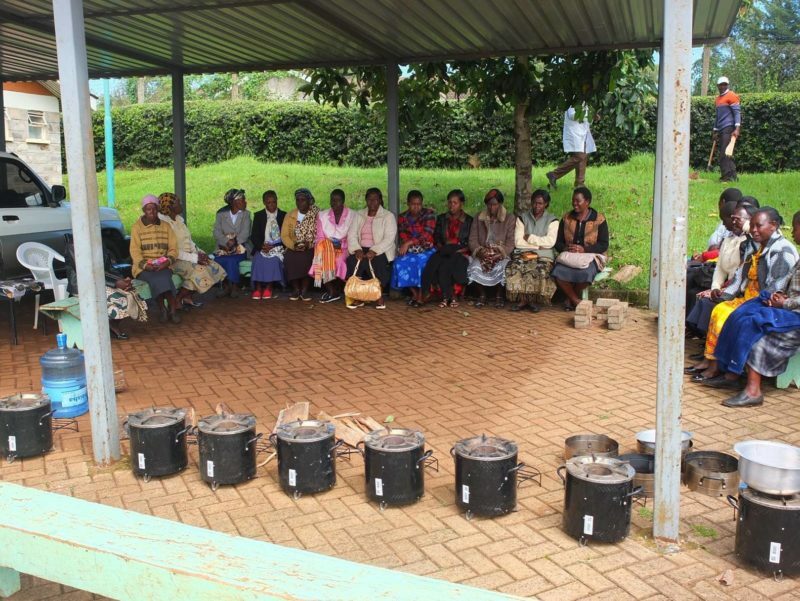 Typically, women are the agents of change for the cookstove industry. Most often their feedback provides the catalyst for engineering changes in a cookstove. “Stove That Saves” in Swahili. It saves fuel, time, money, and lives. What motivates a person to buy a new modern and improved cookstove? There are different reasons why people buy improved stoves and these vary greatly depending on local circumstances and awareness levels. In some regions people buy improved stoves primarily to save money on fuel or when wood fuels are scarce and difficult to obtain. In others, the most decisive factors are to reduce harmful smoke and radiated heat or to improve safety. For some people, the advantages of the improved stoves are most important, such as that they cook much quicker, are easy to handle and more convenient, or because they can heat two pots at the same time. Finally, some are just convinced by the modern and appealing look or because neighbors possess one, too.